Douglas Farah is the president of IBI Consultants and a Senior Fellow at the International Assessment and Strategy Center. He is a national security consultant and analyst. In 2004 he worked for nine months with the Consortium for the Study of Intelligence, studying armed groups and intelligence reform. For the two decades before that, he was a foreign correspondent and investigative reporter for the Washington Post and other publications, covering Latin America and West Africa. Born to missionary parents on July 22, 1957, he moved to the Amazon basin in Bolivia when he was 18 months old. When he was 7 years old his family moved to the capital of La Paz. Following his graduation from the American Cooperative School in December 1974, he spent several years working in rural development and traveling around Latin America and Europe. In 1980 he enrolled at the University of Kansas, where he began working for United Press International. In 1985, after graduating with honors (B.A. in Latin American Studies and an B.S. in Journalism), he was named UPI bureau chief in El Salvador, covering the civil war there and the U.S.-backed Contra rebels in Honduras. In 1987 he left UPI to freelance for The Washington Post, the Boston Globe and US News & World Report. He 1988 he won the Sigma Delta Chi Distinguished Service Award for Foreign Correspondence for a Washington Post series on right-wing death squads in El Salvador. In 1990, on contract with The Washington Post, he moved to Bogota, Colombia, to cover the exploding drug war in the Andean region. Working in Colombia, Venezuela, Ecuador and Bolivia he chronicled the rise and fall of the Medellin cartel and its leader, Pablo Escobar. He also wrote extensively about the rise of Cali cartel, the move by Colombian drug traffickers into heroin and the growing alliance between Colombian and Mexican drug mafias. In 1992 The Washington Post hired him as staff correspondent for Central America and the Caribbean. In that job he continued to cover the drug wars in Colombia, but also the 1994 U.S. occupation of Haiti, post-war Central America and the rise of drug trafficking and HIV/AIDS across the region. He also traveled more than a dozen times to Cuba to write about the changing revolution on that island. In 1995 he was awarded the Maria Moor Cabot Prize by Columbia University for outstanding coverage of Latin America. In 1997, Farah returned to Washington as the international investigative reporter covering drug trafficking and organized crime. 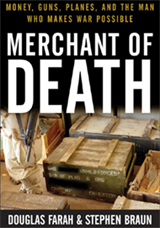 He covered the emergence of Russian organized crime groups in Latin America and the Caribbean, the growth of Mexican drug cartels within the United States and drug-related banks in the Caribbean. In 1997 he was honored by Johns Hopkins University for a Washington Post Magazine article on how the Cali cocaine cartel bought the 1994 presidential elections in Colombia. 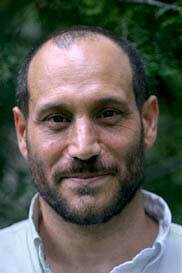 In March 2000, Farah was named West Africa bureau chief for The Washington Post. Based in Abidjan, Ivory Coast, he traveled and wrote extensively about the brutal civil wars in Sierra Leone and Liberia. He also wrote about the interlocking networks of agents, under the protection of governments across the region, which profited from those conflicts and the diamonds-for-weapons trade. 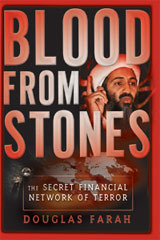 In November 2001 Farah broke the story of al Qaeda's ties to those diamond and weapons networks. Later that month Farah and his family were evacuated from West Africa because of threats against his life, resulting from the diamond stories. He continued to travel there and elsewhere around the world to report on the financial network of bin Laden. In June he joined the investigative staff in Washington. He left the Washington Post in January 2004.